Work was completed to a high standard and we were very happy with the outcome. Would highly recommend him for any… renovation/ building work." "I had problems finding a local builder to construct a batch for me personally at Opononi and eventually went with Tim Alder's proposal of making it in components in Auckland to minimise the on site work. I am very happy with the outcome as Tim came in well under budget and the batch exceeds my expectations in quality. Tim was very helpful during the design stage and always good to deal with. Since then in my business capacity as a Project Manager I have used Alder Homes on two further… projects with similar results." "Last year I engaged Alder Homes to replace my lounge window with large French doors opening onto a new deck. They advised me through the decision making process and helped me come to a great design. I am very happy with the end result, their workmanship is very tidy and they were easy to deal with. " "Tim has been invaluable in our recent house renovation and rental property maintenance. The best part is I can trust him to do a great job, utilise his vast experience and knowledge to recommend the most professional and cost effective approach. Tim's communication with myself and also the tenants was professional which was a nice change when dealing with tradesmen. Highly recommended. " "Alder construction did such a great job on my renovation my painter said his work was exceptional and even the carpet layer and blind installer said he does good work. For myself I found him knowledgeable and trustworthy would not hesitate to recommend him." "Tim from Alder Homes Ltd has recently carried out a major addition and renovation job to a property in Papakura. The work was carried out professionally with attention to detail, we are very pleased with the completed works and we do recommend this company, especially as Tim is very trustworthy and honest to deal with. Growing up with family in the industry, Tim has always had a knack and passion for construction. With over 20 years’ experience in the construction industry, he has watched Auckland grow, building and renovating 100’s of Kiwi homes in and out of the Auckland area. Tim is a skilled problem solver with vast building knowledge and will personally work on your project with you. 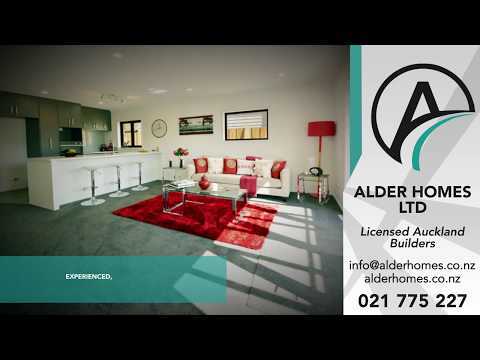 Alder Homes Ltd is a family owned and operated company. We pride ourselves in crafting well built, quality Kiwi homes, expected to stand the test of time. Our passion is in the craftsmanship. We have a love for the job and are here to bring back the pride, passion and quality that comes with helping people bring their ideas and dreams to life. When working with Alder Homes Ltd, you will be working with New Zealand trained and Qualified builders who keep up with the ever-changing industry practices and regulations, builders who are Licenced to do restricted building work and who are a member of New Zealand Certified Builders. Rest assured that we have the knowledge, qualifications and Licence to complete your project. As Licenced Certified Builders, we are qualified to complete all forms of restricted building work, no matter what your project is, we are here to help. Whatever the size, whatever your budget, we specialise in all areas of building, working with you every step of the way to ensure all the necessary steps are taken to create the finished product you had envisioned.